Despite that song Rachel really pulled through in the week 10 in the match against All Rats Must DIE. She felt compelled to comply and 2 dead rats out of 3 died by her own hand. She added one more armor busted linerat as well. All that in 8 blocks and 9 armor breaks. Ross, the Consumer must have really pissed her off by telling her they were on a break, again. Rachel should have shaved already though. I am realy looking for a 2nd season of this team. While their initial season has been fantastic, they just came short of playoff spot because of the other crazy Dark Elf team in the same division. Their team is sporting 3 Guards, 1 Mighty Blow and a Block Witch Elf and this crazy mofo Foxglove with the Mighty Blow, Piling On and Jump up. This is clearly one of the most hard hitting Dark Elf teams at that TV that I have seen so far. 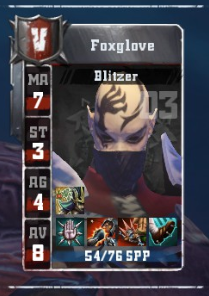 Foxglove shared his kicks with 12 opponents and broke armor 9 times. 4 of them had to be taken to KO box, while one loner linerat was tossed directly into the nearest sewer for their own kind to feed on. Despite Foxglove best effor the rats still won. Week 10 seemed to be full of killers. 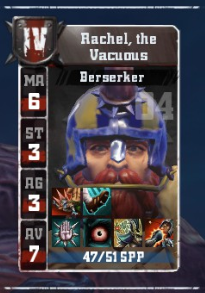 In the ReBBL Superb Owl rematch, the Snow White & the 6 Chorfs repeated their win against Infection Inc. However this time it was not so onesided as the infamous final of the last season. And this time it was not Happy but Grumpy that turned out to be the better killer. Despite his armor bust he does not shy away from piling on and be available to anyone who would like to stick a boot in him. The piling on helped him to break armor 11 times in 8 blocks. It resulted in 3 knockouts and 4 casualties which is an amazing number. I wish someone finally did equally amazing number on him and Happy though. But that is the pixelhugging elf coach in me speaking. Those 2 will likely terrorize DIV1 next seasons as well. Baring something unexpected happens to them in the playoffs they just locked in. After the leaping Warrior of Razta's crazy team made an appearance here few weeks back, another freak of nature from his team decided to show off his skills. 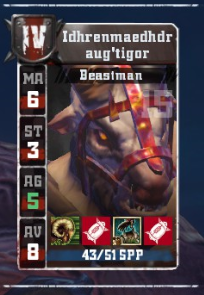 This time I present you AGI5 sure hands Beastman. No wonder I cannot get AGI stat up for my elfs when this good for nothing goat is stealing them. And what this lovely player did to made this creme de la creme of GMAN players? 4 passes and 2 catches. That how low was the limit in week 10. Razta, start to play the game as intended, please. It is hard to write about players that are only fondling their balls all game long. I am glad to see that week 10 winner is someone that deserves it. It has been pointed out that scoring touchdowns should be valued more that passing and this catcher scored 3 out of 4 touchdowns in the game after catching the ball twice. It is only appropriate he took the first spot instead of the passing goat. The Humans met the lowest placed team in their division, the Underworld Sneaky Blinders, and unleashed the touchdown furry upon them, winning 4-1 in the end. While the team is placed in the lower half of the division it is only because of the extremely close leaderboard where 6th and 12th are just 5 points apart. 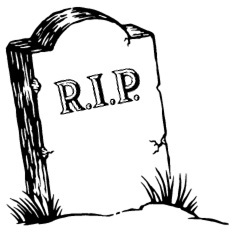 Due to the dataprocessing issues in week 9 there was a huge error for which we would like to deeply appologize. The life performance of Judge has been missed. It is even sadder since Judge passed away the week after. 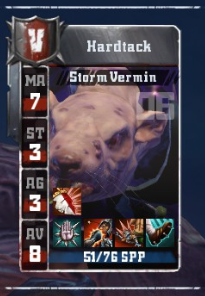 This storm vermin just proved that their are favoured in the fantasy league and would have ended 2nd alongside Neeer Of Itchy (another skaven blitzer, what a surprise). Before Judge received his last judgement he played the game of his life being blessed by Might Blow and Claw and being fed by gobos. He made 13 blocks and caused "only" 6 armor breaks. However every armor break meant removal. 5 KOs and 1 casualty made it easier for his team to win. Plus he surfted one of the opponents players. As a result he was allowed to score himself. He will be missed in the playoffs where the team will no doubts go. Who doesn't love it when Vampires outbash the Chaos? I guess the Chaos coach involved would be the obvious answer. This happened in the week 11 match where the Bitten Heroes put Fyarstars to shame. And who lead the Vampire bash force? Batman (Duh), duh. This is very nice piece and looks like Your Boss could have looked like if he did not meet Sunfire. He has all possible skills from the kills stack apart from Pro and he put them to use in the last match. Out of the 23 armor breaks the vamps did, Batman (Duh) was instrument in 13. It is funny that even without those armor breaks the vampires would still have more armor breaks than the Chaos. It is only suprising they drew the game in the end. I suppose they caused most of the armor breaks to their own thralls. Oops. Kids, do not do drugs. Otherwise you will end up as certain High Elf team. Str5 Blitzer, Agi5 Blitzer, 2 Agi5 Catchers and Agi5 Lineman. This team is gonna be bloatier than Nurgle. Horthborn is one of those enhancement drug users. Despite it helped him to make 4 catches,1 pass and to score in the last game, it was not enough to actually win it. Less consumption of forbidden substances and more scoring will do the trick. It has to be said though, the dopping allowed Hortborn to run whole 88 meters (44 squares) with the ball. If only that mattered somewhere else than in fantasy points. I wish the team they can utilize all the stats up in the next season. Or else there will be very nice High Elf market after season 10. 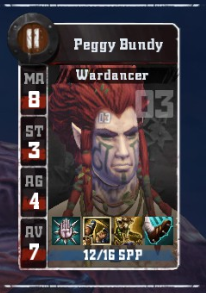 Another RAMPUP player in Player Team Of The Week this season, this time still in RAMPUP, is a female Wardancer Peggy Bundy. Unlike their inspiration, the wardancer was actually not a good for nothing but a real team player. After her performance no one is going to convince me that the Wardancers do not have a hidden Mighty Blow. She caused 6 armor breaks in 10 blocks, knocking out 2 and injuring one. Making one pass,1 catch and scoring 1 touchdown on top of it brought her to the 3rd most successfull player in Week 11. Finally some gutter runner made this list. 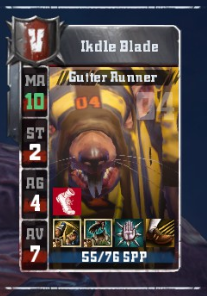 Ikdle is on his best way to become the team natural one turner after he rolled movement stat up as his 4th level up. He used this movement very well in the last match where he ran with the ball whole 108 meters and the poor Pro Elfs were not able to catch up with him. One thing that baffled me was that he made 2 armor breaks in 1 block. Those resulted in one knockout and one casualty. While this is normal for piling on players this would be the first gutter runner with piling on I would have seen. However it became clear that he knocked out one plyer while surfing him and the 2nd armor break and injury came when Pro Elf Catcher blitzed him but All Apple Pied the block and removed himself for the rest of the match. 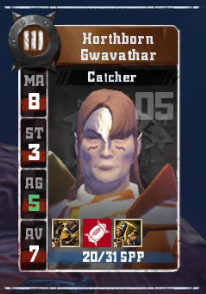 It was AGI5 and MV9, Sprint Catcher so Ikdle made the most important achievement in the match by getting punched in the face. Suprise, suprise. First place is occupied by Skaven Blitzer. Who would have thought? It is only a little bit of anomally that this Blitzer made it while he still have not won the Claw roullete so far. 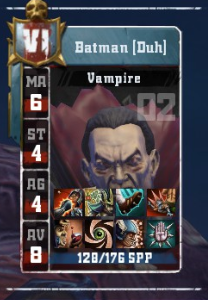 His co-killer Spike III has made this list 2 times this season so Hardtack decided to pull his weight this game instead. 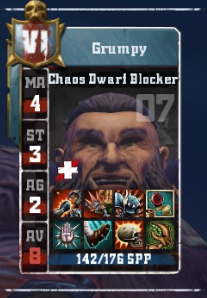 While he only made 8 blocks, it caused 6 armor breaks and 4 of them were removals. In 2nd turn he dealt with with AGI5 MV9 High Elf catcher ( there is epidemy of AGi5, MV9 elfs apparently). 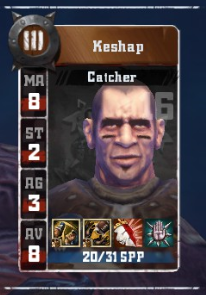 The catcher suffered armor bust and was immediately appo'ed. Another casualty came in turn 5. This time badly hurt Kick lineman. 2 turns later he fractured a leg to STR4 Guard Lineman. This 3 injuries made a huge swing in the match. Hardtack was not over yet and surfed one player, caught 2 passes and scored 1 of the 2 touchdowns before the games was over. There is good chance the team makes playoff with a little luck in the remaining 2 games.